Are you looking to install a new fence on your property in in Milford, CT? This is a project in which you should choose the best fence company in Milford, CT. Welcome to Red Fox Fence. 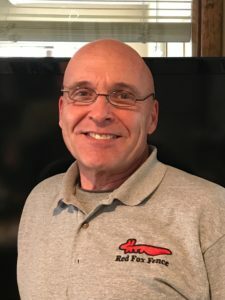 With Red Fox Fence, you are making a choice to work with a fence contractor that has the experience, reputation, and workmanship to complete your fence project the right way. You can reach us at (845) 254-0330 for all your fencing needs. Since our inception in 2006, we have grown to be the top fencing contractor in Milford, CT. We have also installed several fencing projects in Milford and its neighborhoods like Walnut Beach, Devon, Wildermere Beach and Woodmont, CT. We give every client the best workmanship and experience to create a fence that is both reliable and aesthetically pleasing. Our reputation has only grown further with every additional project as we use only the highest quality materials and strive to deliver your fence project within the required deadlines. Our experienced team is exactly what you need to have a fence, driveway gate, or ornamental garden fence worthy of the posh community that is Milford, Connecticut. With our service, you can secure your beautiful home, tennis court or swimming pool that you have. We are also the perfect fence company to help you install a stunning ornamental fence in your backyard. We can install a specialized fence for you to fulfill different purposes, as well. For instance, pets are common with many Milford, CT residents and a significant part of the population are young families. In both cases, there is a need for specialized safety to keep both pet and babies safe. Red Fox Fence can help you do just that. We do it all, from baby-proofing your yard to ensure the baby’s safety, to installing a perimeter fence for your favorite pet. The Red Fox Fence team will show you different fence options for your property. Our team will also assist you to make the best selection for your new fence installation be it a vinyl, chain link, wood or iron fence. As a full-service fence company with over a decade’s worth of experience under our belt, there no fencing installation too complex for us. We are up to the task to handle new fencing projects, or fixing problems on an existing fence. Having worked with hundreds of clients to improve their households in Milford, CT, our reputation has grown exceptionally. We can exceed your expectations and provide fence options that will give you peace of mind. Call us today at (845) 254-0330 and we will be happy to give you a free estimate. If you love the beach then Milford is definitely the place to be. The city is part of New Haven County’s coast with miles of sea frontage. As at July 2016, an estimated 52,536 people resided within the town’s borders and it’s easy to figure out why. Being near New York has seen most New York City workers settle here as the town is an easy commute to their workplaces. Additionally, the 14-mile coastline and many recreational spots make for the perfect getaway for both individuals and families.